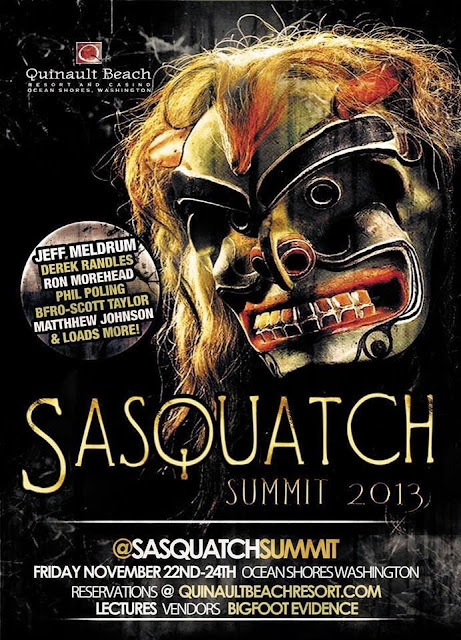 If you're going to be in the area of Ocean Shores, Washington this weekend, be sure to check out the 2013 Sasquatch Summit! Featuring a great line up of guest speakers including but not limited to: Derek Randles, Scott Taylor, Ron Morehead, Phil Poling, Jeff Meldrum, and the one and only Bob Gimlin! This is a two day event being held at the Quinault Beach Resort and Casino, and is sure to be a blast with plenty of things to do and see. Also an opportunity to learn from some of the very best. Be sure to check it out! For more info and details, click the link below or go to www.sasquatchsummit.com.